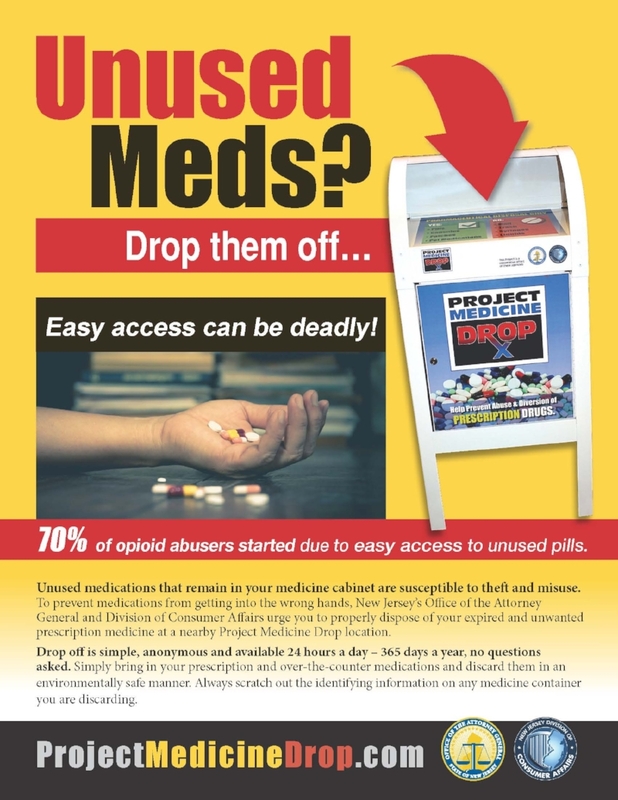 The New Jersey Division of Consumer Affairs has developed Project Medicine Drop as an important component of its effort to halt the abuse and diversion of prescription drugs. 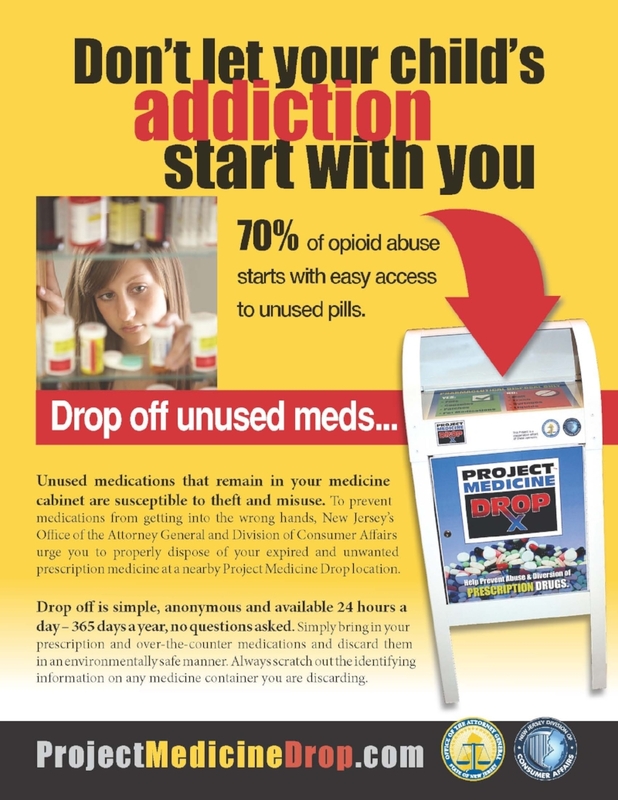 It allows consumers to dispose of unused and expired medications anonymously, seven days a week, 365 days a year, at "prescription drug drop boxes" located within the headquarters of participating police departments. The Medford Township Police Department located at 91 Union Street, Medford, NJ 08055 is one such location.